This early '60s studio session captures Ella Fitzgerald moving toward the smaller, more pointedly jazz-inflected ensembles that would shape her career in her final decades. The intimate setting, superb musicianship and stellar recording make it a favorite among jazz-oriented audiophiles. Not to be missed! 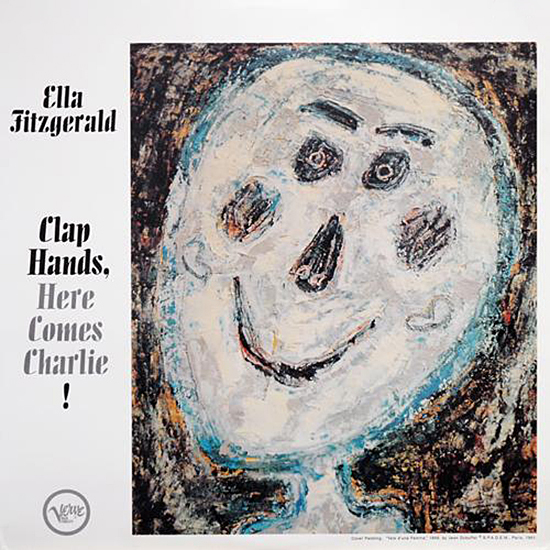 Another typically wonderful reissue of Ella Fitzgerald in her prime, this set augments the original LP (which finds Ella joined by pianist Lou Levy, guitarist Herb Ellis, bassist Joe Mondragon, and drummer Stan Levey) with three previously unreleased selections from the same era (with Levey, bassist Wilfred Middlebrooks, and drummer Gus Johnson). Ella is in fine form on such numbers as "A Night in Tunisia," an emotional "You're My Thrill," "Jersey Bounce," "Clap Hands! Here Comes Charlie," and an unissued "The One I Love (Belongs to Somebody Else)." Although not reaching the heights of her live performances, this is an excellent (and somewhat underrated) set. 12 - Clap Hands Here Comes Charlie! Recorded in Los Angeles, CA, June 22-24, 1961 (tracks 1-14) and New York City, January 23, 1961 (tracks 15-17). Analyzed: Ella Fitzgerald / Clap Hands Here Comes Charlie! DR11 -3.06 dB -17.12 dB 2:43 12-Clap Hands Here Comes Charlie!